Personnel with a military background have proven to be best performers in running State business and their deployment in Government is not unique to Zimbabwe, political analysts have said. This comes amid some unsubstantiated claims in opposition circles that the Government had been captured by the military. UK legislator Kate Hoey also recently tweeted that there should be no change of policy on Zimbabwe from the international community unless Vice President Constantino Chiwenga was “removed from his Vice Presidency and his control of the military”. Before being appointed VP, Dr Chiwenga was the Commander of the Zimbabwe Defence Forces. Drawing comparisons from the United States of America, political analysts concluded that involvement of people with a military background was the norm the world over. This year alone, at least three female veterans have expressed interest to run for US Congress to solve what they termed America’s ‘’leadership crisis’’. The three are Maura Sullivan, who served as a marine in Iraq; Chrissy Houlahan, who worked on America’s response to nuclear attacks; and Pam Keith, who defended troops who were court-martialled. In any case, at least 26 of America’s presidents from George Washington and Abraham Lincoln to Dwight Eisenhower and both George Bushes have served in the military, according to US Department of Veterans Affairs. Speaking to The Herald last night, Harare-based political analyst Mr Godwine Mureriwa said: “Best performers across the world especially in the US are people with military background. Zimbabwe should not be an exception when it comes to exploitation of the rich experience brought by its own veterans in the running of its Government business. 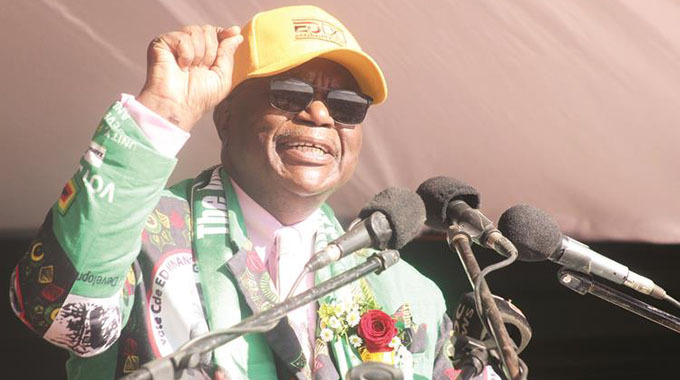 “The Bulawayo incident that almost wiped out the entire national leadership should be read in the context of terrorism and in such circumstances people with military background cannot be wished away in Government business. Another commentator, Mr Tafadzwa Mugwadi, said: “Any reports or suggestions to the fact that the Zimbabwe Government is captured by the military are baseless to the extent that they are stupid. For the avoidance of doubt, Zimbabwe is a constitutional state where the role of State institutions and organs inclusive of the army are well defined and codified. “Any attempt therefore to smear the Government simply because there are decorated former military officers in Cabinet who were retired publicly is akin to lack of understanding of the art of statecraft. In any case, until Donald Trump became the US president, it has been a cardinal but unwritten practice that distinguished former US Army commanders and others from their dreaded CIA contest for public office on retirement with a high chance of being victorious because they would have proved themselves in terms of their commitment to their country.